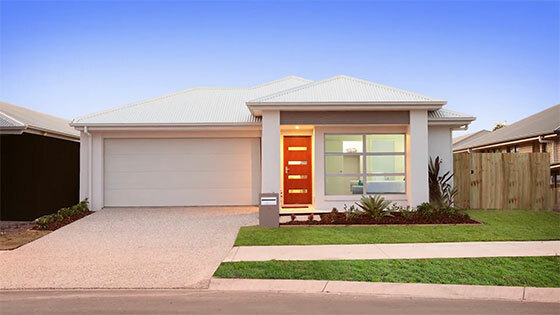 Ausmar Homes | Sunshine Coast | Brisbane | Gold Coast Builder | The House The Coast Built is going under the hammer on February 14! Get excited Sunshine Coast! The House The Coast Built is going under the hammer. This amazing, luxury 4 bedroom home in Flametree pocket is impossible not to fall in love with and you’re invited to make a bid on Valentines Day Sunday the 14th of February. Built and furnished with completely donated time, resources and goods from more than 60 local businesses, all proceeds from this amazing community fundraising project by Wishilist and Ausmar Homes will be directed to the needs of sick and needy kids on the coast. An upmarket residence with quality, style and sophistication, this open plan home is perfect for entertaining. Make a splash in the designer pool before relaxing on the private outdoor space which boasts plently of room for guests. The house the coast built is fitted with loads of extra features such as solar panels, water filtration system, outdoor shower and more and Flametree pocket is the perfect location to live and grow. A boutique land estate designed to cater to the needs of all residents in the community with lifestyle, education and recreation options on your doorstep. There are an enviable array of outdoor activities on offer including a large park situated less than 150 meters away to enjoy time with family and friends. With the Mooloolah national park close by to take a bush walk, the river to leisurely canoe down or recreational bike ways to cycle on, you have any adventure playground in your backyard. So come on down, wear your heart on your sleeve this valentines day and make the house the coast built your forever home.